Sell your laptop and get to shopping for your next HP Pavilion Touchsmart 17.3-inc flagship laptop computer. Directly from the box you can’t help but notice the sleek anodized silver and sparkling black finish design. 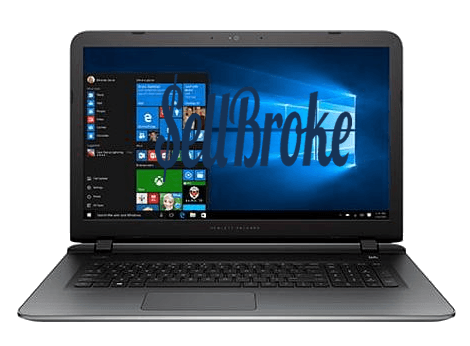 For under $800.00 US, this laptop looks awesome for its price range. The design and finish is very nice. It has rounded edges and curved corners to complete its slick design and the interior keyboard area is a sparkly-shiny black. 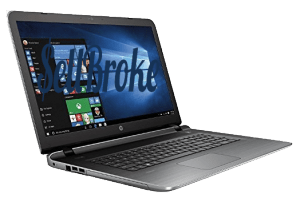 The HP comes with the newest 6th generation Skylake Intel Core i7-6700HQ 2.60GHz with Turbo Boost technology that gets speeds up to 3.50GHz, an Intel HD Graphics 530 with shared graphics memory. The 17.3-inch Full HD IPS Touchscreen has a resolution of 1920×1080 pixels and supports 10-finger multi-touch commands with great ease. Not only are the colors sharp and crisp, there doesn’t seem to be any over saturation or color-wash, which really maintains those bright and clean colors. The touchscreen is very responsive and there was no noticed lag time between command and actions. Like all touchscreens you will battle the endless amount of fingerprints, but that’s the breaks of the game with touchscreens. This new HP Pavilion comes read to get to work with all of your business needs. It runs the latest version of Windows 10 Home 64 bit operating system that’s been pre-installed. There are 8GB DDR3L 1600MHz SDRAM and a 1TB Hard Drive. It has a tray loading DVD drive that reads and writes to DVD/CD. You can connect to it with one of the three USB ports. You have the options among two USB 3.0 and one USB 2.0 ports. As far as connectivity is concerned you will be Wi-Fi enabled with 802.11a/c, 1G LAN Ethernet, Bluetooth and a multi-format digital media card reader. The two Bang & Olufsen speakers that are standard with it provide an amazing sound experience. However, like a majority of laptops on the market, even with great speakers, if you like streaming movies and gaming you will want to connect to some sort of stand-alone sound system to enjoy the broad ranges of movies and such. But, for the purpose of traveling the speakers are definitely sufficient for most people’s’ needs. Some users may be a bit disappointed with its overall speed. The 1TB drive operates at only 5400 RPM and this causes for a longer waiting time with larger data loads. In the days of 7200 RPM hybrids or SSDs, it really makes one wonder why HP is using a slower drive. If you’re not one that’s used to a 7200 RPM disc then you probably won’t notice any difference and will be happy with it as it comes, but if you’re also using another computer that spins at 7200, you’ll definitely notice the difference, and the difference is quite a bit. Another aspect that some people don’t seem to be 100% happy with is the keyboard. Yes, it has all of the standards attributes such as being full-sized and having a 10-key pad and it is backlit, but some people are not as comfortable typing with this keyboard because it feels flat. Literally flat, and this make keystroke reaches to extend. It will take some time getting used to for some. 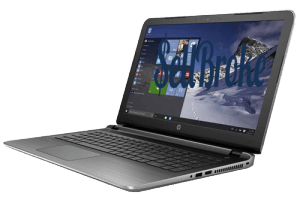 We are pretty sure that if you do decide to purchase the flagship HP Pavilion 17.3-inch Touchscreen that you will be happy with your purchase. It is a sleek machine that responds well and computes with the best of them on the market! Looking for extra cash to buy the new HP laptop? Sell us your laptops, tablets and cell phones!